If you have children or have ever been around them, it is no surprise to you that they are very efficient spreaders of disease. Not to call anyone out but with dirty fingers, always in noses, mouths and eyes, and the ability to make objects sticky just by looking at them, kids are the ideal carrier and distributor or the flu and other common illnesses. So, when flus are making their yearly rounds, you can be sure children have a role in its spread and transmission. Ideally, we would want sick children to stay home for their sake and ours, but often children are most contagious before they even show symptoms of illness. So keeping sick kids home does only so much. And with an already tight curriculum and the increasing importance of attendance for success, attendance is more important than ever. So, what can your school cleaning company be doing to minimize and prevent illness in the classroom and to keep your students and your staff healthy? Research on bacterial and viral spread in classroom settings is plentiful and the ISSA (International Sanitary Supply Association) has an extensive list of recommendations when it comes to school cleaning. 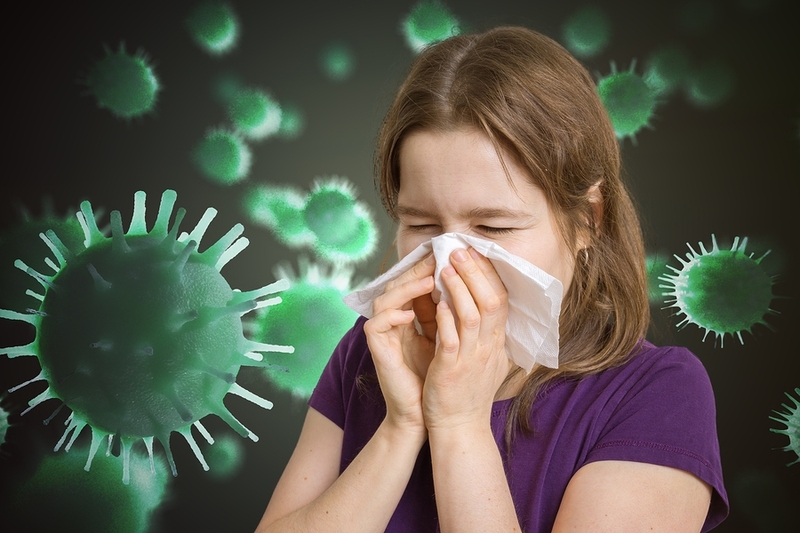 What does this research say and what should your school cleaning company be doing to keep your school a healthy learning environment even in the middle of flu season? First and foremost, it was found that elementary school classrooms were often as, if not more dirty as their respective restrooms. All too often surfaces are only cleaned to appear clean, passing visual inspection but still being laden with bacteria and other disease causing pathogens. Door handles, railings and any other surfaces that are touched regularly offer an ideal breeding ground and transmission point for bacteria. Of all classroom surfaces, gym mats are the most likely to be contagion spreaders because they are cleaned with dirty mops that only spread dirt and bacteria. If There Were A Test On School Cleaning How Would YOUR Cleaning Company Do? To understand effective school cleaning, you need to understand touch points. A touch point is any surface that is regularly touched throughout the day. For instance: stair railings, computer mice, and door handles. Research confirms what common sense tells us, that the surfaces touched the most often are the dirtiest and have the highest bacterial load. On top of that, these areas are the main perpetrators when it comes to spreading disease around the classroom. Think about it, Johnny has the beginning of a cold so he wipes his hand across his runny nose, then he touches the stair railing, uses the computer lab computer that many other children will use and opens the door to the cafeteria, all the while leaving behind germs that can then hop an easy ride with the next hands they come into contact with. So, if your school cleaning service is ignoring these touch points then the germ loads build up and make their way across your school even more efficiently. If you school cleaning service isn’t taking the time to thoroughly clean those oft touched surfaces, your school may look clean but it isn’t clean where it counts most. Proper disinfection of all surfaces, especially hotspots, is the only way to make sure that your school is both visually clean and a safe, healthy environment for students, teachers, and other staff. It can be easy to convince yourself that because your surfaces appear clean that they are, but we know this isn’t the case. There are real and measurable effects of failing to clean for health from the overall health of your students to absenteeism and even overall school performance. Many studies show a strong correlation between clean surfaces like desktops, work tables and handles and a reduced rate of absenteeism for both students and staff. With the obvious link between absenteeism and test scores that can negatively impact your school’s performance, it is essential that you take steps to insure the health of your students, educators, and staff by partnering with a school cleaning company that knows what matters most. Is Disease Spreading On Your Campus? Does your current school cleaning company understand the science of cleaning for health? No matter what kind of institution you are, whether it be university all the way down to pre-school, a commercial cleaning service that understands how to protect you and your students health and uphold a clean and welcoming appearance. The most effective school cleaning companies understand the distinction between the terms cleaning, disinfecting, and sanitizing and know when it is appropriate to use each. Understanding the importance of hotspots and touch points and the science of disease transmission can distinguish the run-of-the-mill cleaning companies from your committed industry professionals. Good learning begins with a good foundation and that begins with the right tools and a healthy, clean, safe school environment. Your school cleaning company should make these lofty but necessary goals more attainable rather than out of reach. Are you happy with your current school cleaning services or is time for a change? Here at Stathakis, we work with schools of all kinds to build cleaning programs that meet the needs of each individual customer. We know how to deal with touch points and tailor our cleaning solutions to target areas that may be unique to your school and learning environment. Don’t settle for a company that doesn't take cleaning for health seriously. Can we help you? If you would like to learn how we help schools with effective maintenance all while staying on budget, please contact us at (800) 278-1884.